What is Possession with the Intent to Deliver? What is Possession with the Intent to Deliver (“PWID”)? Possession With the Intent to Deliver is a felony drug possession charge. It typically involves the possession and sale of illegal drugs such as marijuana, crack cocaine, heroin, and PCP. It can also apply to the possession and sale of prescription medications such as oxycodone, xanax, and percocet. Although there are a number of different types of drug charges under state and federal law, the main difference between drug charges and how serious they are is whether the prosecution alleges that the defendant sold or intended to sell the controlled substance in question. Possession with the Intent to Deliver involves possessing illegal drugs or a controlled substance and either selling them or intending to sell them. This means that the defendant will typically be charged with PWID when police or other law enforcement allege that they either caught the defendant in the act of selling drugs or caught the defendant with a sufficient quantity of drugs such that it is fair to say that the defendant must have planned on selling them at a later date. In some cases involving lesser quantities of drugs, the police may still arrest a defendant for PWID where the defendant also posses items which suggest drug distribution and trafficking such as scales, new and unused packets which could be used to break up and package a larger amount of drugs into smaller, sellable sizes, significant amounts of money, and implements for cutting the drugs up. Is Possession with the Intent to Deliver a Felony in Pennsylvania? Possession with the Intent to Deliver is always an ungraded felony in Pennsylvania. The maximum sentence for a PWID conviction depends on the controlled substance in question. For a first offense, a marijuana conviction has a maximum sentence of five years, while crack cocaine has a maximum sentence of ten years, and the sale of heroin has a maximum sentence of 15 years in prison. Because PWID is always a felony, most defendants who are charged with PWID have a right to a preliminary hearing in the Philadelphia Municipal Court or before a Magisterial District Justice in the suburbs, and if the case proceeds beyond the preliminary hearing, then the trial would be heard in the Court of Common Pleas. There is a limited exception for selling marijuana in that a first offense marijuana PWID charge in Philadelphia will be tried in the Philadelphia Municipal Court without the benefit of a preliminary hearing. Fortunately, a defendant who is convicted in the Municipal Court always has the right to appeal to the Court of Common Pleas for a brand new trial. In that case, the Municipal Court trial will serve the same effect as the preliminary hearing. However, pre-trial motions must still be litigated in the Municipal Court. How is Possession with the Intent to Deliver different from regular possession of a controlled substance? Possession with the Intent to Deliver is a felony charge, while Knowing and Intentional Possession of a controlled substance is a misdemeanor. PWID may be punished by substantial fines and jail time of up to 15 years for a first offense depending on the controlled substance in question. Knowing and Intentional Possession, however, may be punished by only up to one year of jail time and substantially lower fines for a first offense. Knowing and Intentional Possession could apply anytime the defendant possesses some kind of controlled substance without a prescription or illegal drug. PWID, however, requires both the possession of a controlled substance or illegal drug and the intent to sell that drug. PWID can also apply when the defendant is charged with growing or manufacturing some kind of drug, and it also applies to the possession or cultivation of marijuana plants. Therefore, possessing an illegal drug or controlled substance without a prescription can always qualify as Knowing and Intentional Possession, but the prosecution may only obtain a conviction for PWID when the prosecution can also prove beyond a reasonable doubt that the defendant sold or intended to sell the controlled substance. What are the defenses to Possession with the Intent to Deliver? Pre-trial Motions - In every case, the prosecution must be able to prove that the evidence it obtained and wishes to use at trial was obtained in a legal manner. If the defense believes that the police may have conducted an illegal search or seizure, then the defense may file a Motion to Suppress the drugs, money, or paraphernalia which the police recovered as a result of the illegal search or seizure. Once the Motion to Suppress has been filed, the trial court will hold an evidentiary hearing. The prosecution will then have to prove by a preponderance of the evidence that the police did not violate the requirements of the Constitution in obtaining the evidence. If the prosecution cannot meet its burden, then the evidence could be suppressed and the charges dismissed. In other cases involving confidential informants, it may make sense to file a Motion to Reveal the Identity of the Confidential Informant. These motions are difficult to win, but in some cases, the defense has the right to know who the Confidential Informant was and have the opportunity to call that person as a witness at trial. Pre-trial Motions like the Motion to Suppress are extremely important in drug cases as the prosecution will often not be able to proceed if the police did something illegal. Constructive Possession - In order to convict a defendant of selling drugs, the government is required to prove that the defendant either physically or constructively possessed the drugs. In many cases, police may observe behavior that appears suspicious and then find drugs or some other contraband in a "stash". In other cases, police may recover drugs which were hidden in a house or car and not physically on the defendant. In these types of cases, the prosecution will be required to prove that the defendant possessed the drugs - this means showing that the defendant both knew the drugs were there and that the defendant had the intent and power to control the drugs. Mere proximity to a stash or finding the defendant in a car that also has drugs in it is often not enough for the prosecution to obtain a conviction. 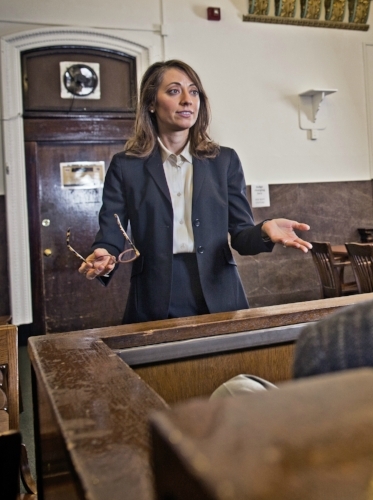 Therefore, whether or not the defendant actually possessed the drugs may be a potential defense to a Possession with the Intent to Deliver charge. Narcotics Experts - In cases where the police find a large quantity of drugs (or a smaller amount with some indicia that they were going to be sold) but do not actually catch the defendant in the act of selling the drugs, the prosecution will call a narcotics expert to testify. The prosecution expert will typically testify that there is something about the quantity of the drugs or the way in which they were packaged that suggests that they were possessed with the intent to deliver. Further, the Superior Court has affirmed convictions for PWID based solely on the possession of 33 packets of crack cocaine without any observed sales where the government's witness testified that a defendant in possession of that many packets would have possessed them with the intent to sell. Just as the prosecution may use expert witnesses, the defense also has the right to have an expert witness evaluate the evidence and potentially testify at trial as to whether the circumstances could have been indicative of personal use instead of sale. In case where the police did not observe any drug transactions, the use of a defense expert witness could be the difference between a conviction for felony Possession with the Intent to Deliver and misdemeanor Knowing and Intentional Possession. Trial by Jury - In every criminal case where the charges are punishable by a year or more, the defense has the right to a jury trial. When the defendant elects to have a jury trial, the attorneys and the Court will select twelve jurors and two alternates to hear the case. The prosecution must convince all twelve jurors that the defendant is guilty beyond a reasonable doubt. If the jurors are not unanimous, then there will not be a verdict. In that case, the prosecution may drop the charges, make a better offer, or elect to re-try the defendant. What sentence will I get for a Possession with the Intent to Deliver Conviction? Both the federal system and New Jersey state courts have serious mandatory minimums for drug convictions. Pennsylvania, however, does not currently have any mandatory minimums for drug offenses. Therefore, the sentence for a drug conviction can vary tremendously as judges retain a great deal of discretion in determining what sentence to impose on any given defendant. This judicial discretion is not unlimited, however, as judges are required to review and consider Pennsylvania's sentencing guidelines prior to imposing a sentence, and a judge must be able to put reasons on the record for departing from the guidelines. As a general rule, the severity of the sentence called for by the guidelines depends on the type of drug involved and the quantity of the drug. Convictions for trafficking in harder drugs like PCP and heroin will result in greater guideline sentences, while convictions related to marijuana will often result in much lower guideline sentences or even recommendations to the judge of probation. Given the wide variety in potential weights and drugs, it is impossible to make a blanket statement as to what type of sentence a defendant could receive for a drug conviction. However, once retained, our criminal defense lawyers can review the evidence against you and calculate what the recommended sentence could be in the event of a conviction. The Philadelphia criminal defense attorneys of Goldstein Mehta LLC have successfully represented hundreds of clients in drug possession and drug trafficking cases. We are experienced and understanding defense attorneys who will use our high level of skill and expertise on your behalf. We have successfully litigated pre-trial motions and obtained pre-trial dismissals and acquittals at trial. If you are facing drug possession charges, call 267-225-2545 for a free criminal defense strategy session. Older PostConstructive Possession: Can I be convicted of a crime if I didn't have anything on me?